Parking lots available at Juniper and Spruce, Juniper and Locust, Broad and Locust, and 15th and Spruce. SEPTA routes C, 27, and 32 stop at Broad and Spruce Streets. SEPTA route 23 stops at 12th and Spruce Streets. PATCO High Speed Line stops at Broad and Locust Streets as well as SEPTA's Broad Street Line. Regional Rail stations are located at Market East (11th and Market) and Suburban Station (16th and JFK). A rustic eleven-table dining room located in the heart of Center City, Philadelphia, Vetri Cucina specializes in authentic Northern Italian dining. 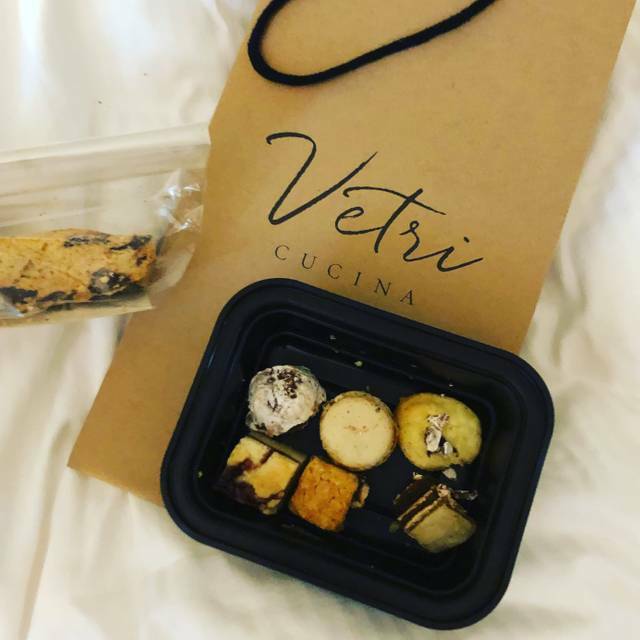 Vetri Cucina serves each guest an individually tailored, multi-course tasting menu, as the sole dining offering, at the fixed price of $165 (excluding tax, gratuity and alcohol). Fantastic experience: food, service, and ambiance all great. Can’t recommend enough! Masterful, from the first to last moments we were there! Everyone we encountered and everything we tasted was the product of tremendous expertise and concern for our dining pleasure. Genuine humble hospitality at its finest. 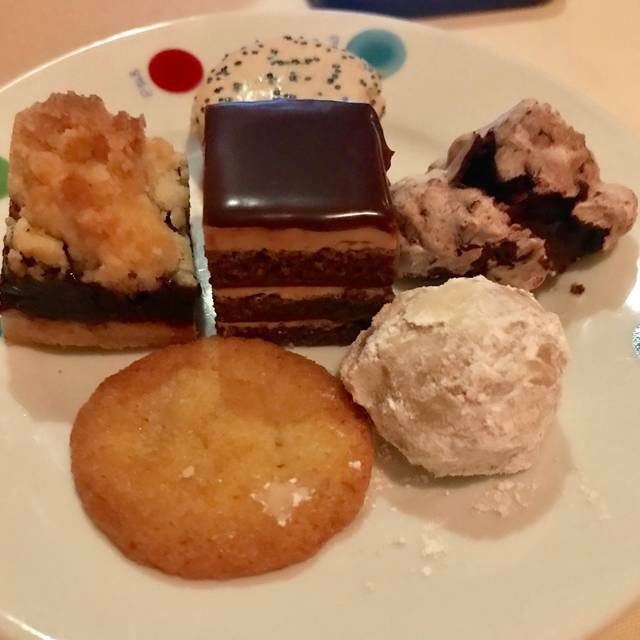 Seemingly endless tastebud dances: I think I tallied 27 savory ( including house made breads and cheese plate) and 8 sweets shared between three of us celebrating a special family time. 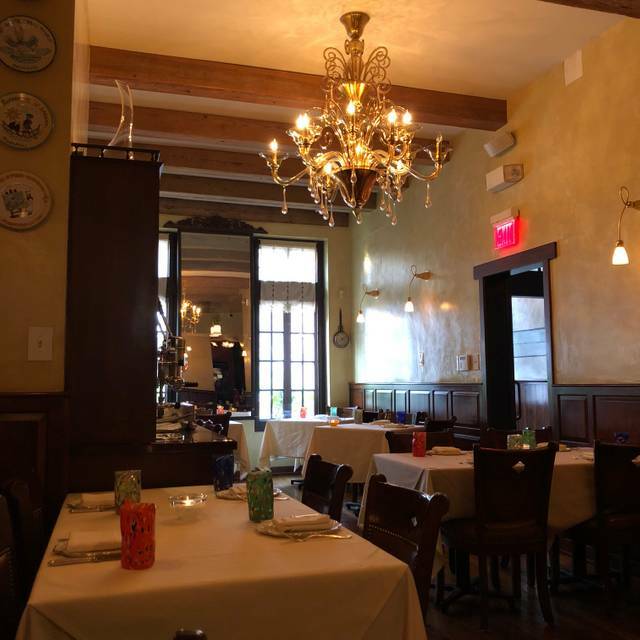 A truly fine, memorable experience, forever a fan of Vetri Cucina! I had an exceptional meal at Vetri. I was attending a conference from out of town and went as an indulgent whim on my own. 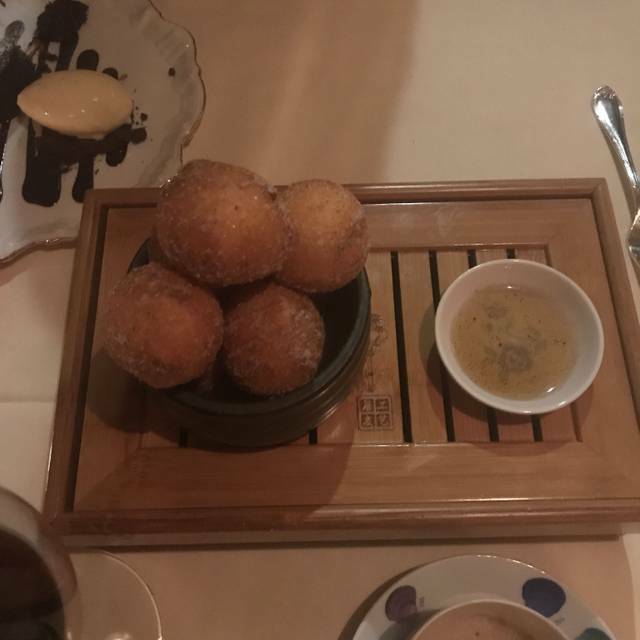 The food was excellent, the wine recommendations completely appropriate, and the service was some of the best I've ever encountered. I had some slightly unpleasant neighbours during my meal, but the staff were attentive, courteous, and professional. They went out of their way to make sure that I was comfortable, offered to move me, and ultimately ensured that the experience was exceptional. I would recommend the experience to anyone. My only word of advice is to arrive hungry... there's a lot of food that you don't want to miss trying. Gorgeous food. Amazing service. 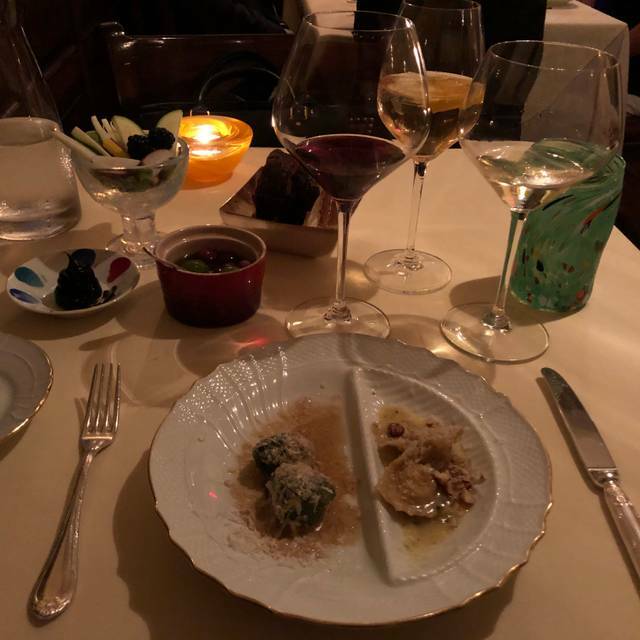 Pricing puts it in the same bucket as some of the absolute best restaurants in the country - like Manresa or Le Bernardin - and, in that context, I can’t quite say that it is excellent value but it is an excellent experience. We had a special birthday and even more so because of Vetri. The food if I could was a 10 on a 5 scale. Flawless. The best of any restaurant in the world ! Completely amazing. The service with Tara was so much fun. Just wonderful. Not for everyday but you must do it at least once ( a year....). We celebrated my husbands 50th birthday here. We did the wine tasting with the menu. Everything was excellent. Food was beyond our expectations and we really enjoyed the wine tasting as well. Service was very good. Highly recommend. 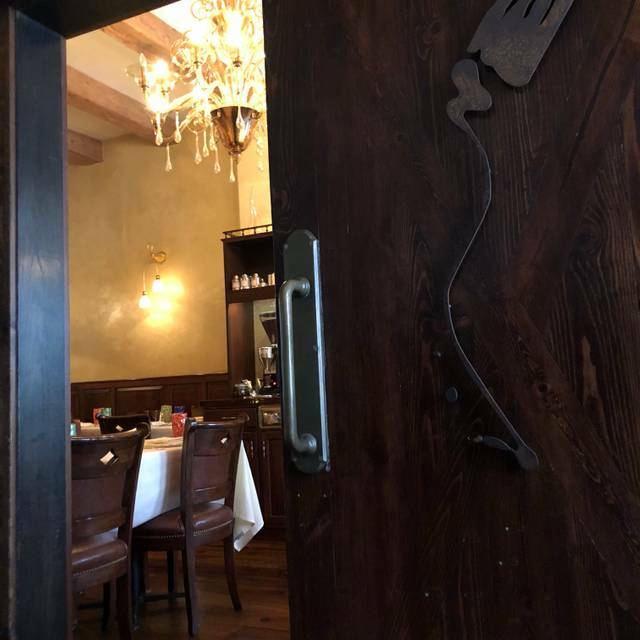 There is a reason why this is considered by many the best restaurant in Philadelphia, and they served 13 reasons why for my wife and I. Impeccable service and a beautiful dining room compliment this perfect meal. top it off with the best bread (three different types) that we have ever eaten, and you have a perfect meal. Yes, it is pricey ($165 per person) but sometimes you really get what you pay for, and Vetri is a prime example. This is one of the best restaurants I've ever been to. The tasting menu was exceptional and the service outstanding. There are no words. You must go and experience it. A special dinner venue. We visited Vetri after seeing Miss Saigon. We were promptly seated and served a spritzer, cold vegetables and a lovely dip. We were informed about the menu and asked if there were anything we could not eat or perhaps did not wish to try from the price fix menu selections. Throughout the evening, our waiters served chef's selections and we elected to pair each with their selected wine. For the most part, we had different selections served to us throughout the meal and each tasting was more than enough for each of us to taste the other's presentations. During the meal, three different breads were also served. The service, food and wines were excellent. This restaurant deserves its reputation as one of the finest dining experiences in Philadelphia. The tasting menu is the way to go, as the kitchen team serves up some stunners. The pastas and seafood courses were standouts. The wine pairing was interesting and fit the food wonderfully, but was a bit overpriced for the wines served. Polenta chocolate dessert was also memorable, though there was a bit of an “eggy” finish to a couple other baked items. That is a total quibble, because there was not a single item that wasn’t unique, enjoyable, and thoughtfully presented. This place is easy on the palate and the eyes, but not on the wallet. Still, for a special occasion, it would be hard to imagine a better white tablecloth experience. Wonderful experience! A lot of fun for a special occasion, but not for every day. Had a great time! Everyone was very knowledgeable and helpful. Would definitely recommend! We thoroughly enjoyed our dinner at Vetri's in Philadelphia for our anniversary. The staff couldn't have been more knowledgeable and friendly, answering all of my questions about each course. The chefs are also to be congratulated for preparing excellent pasta cuisine and dishes that we have never had before. We also took part in the wine pairing which complimented each serving. This experience was exceptional. Expecting an exceptional dining experience we all left feeling disappointed. I have experienced many meals that were as good or better at 1/3 to 1/2 the price. Good dining, extremely over priced for what it is. Fantastic experience with terrific food and service. Our tasting was a wonderful experience! The service was outstanding! Tara was very attentive to us! The spritz and Moscato were a perfect touch! Wow! Amazing food and service! Letting the Chef surprise us with the menu selections was so fun and did not disappoint. attentive, knowledgeable of the food & wine & took great pride in making the evening very special. Truly a treat in all aspects and we look forward to returning. This meal was everything we could have dreamed of and more. This was easily the best dining experience my boyfriend and I have had in Philadelphia. It comes at a price but is worth every cent. We did the chef’s tasting and left the options up for surprise and were not disappointed. Every dish was absolutely amazing and the service was equally as great. Our favorites were the dry aged ribeye carpaccio, ricotta ravioli, Swiss chard gnocchi and the squab. It’s hard to even pick a favorite. I recommend going for something special because they do a fantastic job of making the experience feel that way. I will definitely be back there soon! AMAZING Meal! Service was excellent! Very special evening. This was a very special dinner for us. The staff was quite professional. The food was delicious. The presentation of all the courses was excellent. All in all, it was a very delightful evening. Just simply the best experience. Some of the foods were superb. Some were not so good. 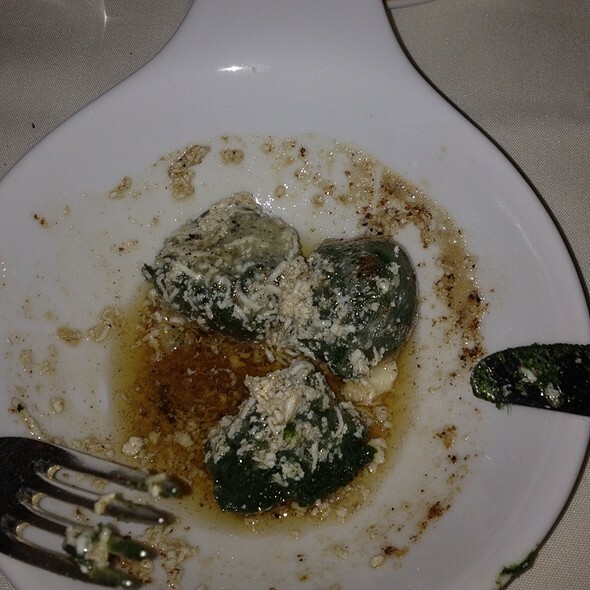 For instance the ricotta ravioli were so delicate in a heavy and sweet sauce. Fettuccine with mushrooms cold. Dover soul swimming in too heavy butter sauce. Service outstanding. Service was simply amazing. Attentive and generous without being in our face. Tried for years to get in for dinner but was finally able to secure a lunch reservation. Did not disappoint. Service was beyond good and food with wine pairings was a lot of fun. Hope to go back. Absolutely amazing. Managed to respect our food allergies while still providing outstanding food and wonderful service. Defintely recommend the wine pairing. Outstanding dining experience all around. Come hungry! There’s a lot to eat. Had a little bit of a wait before they were ready to seat us, but it was well worth it. The staff go out of their way to provide you with an unparalleled customer service experience, equally educating your culinary understanding and your palate. Vetri was absolutely fantastic! The food is always incredible, the service is outstanding, and the overall experience is top notch! It’s one of the best restaurants I’ve ever been to! The almond tortellini, gnocchi, and the pistachio flan are an absolute must!!! The most incredible dining experience we ever had. My husband and I couldn't stop talking about how wonderful everything was from the minute we walked in to Vetri to the moment we left. The service was outstanding. The food...well, there are just no words to describe how incredible it is. The experience is worth every penny. 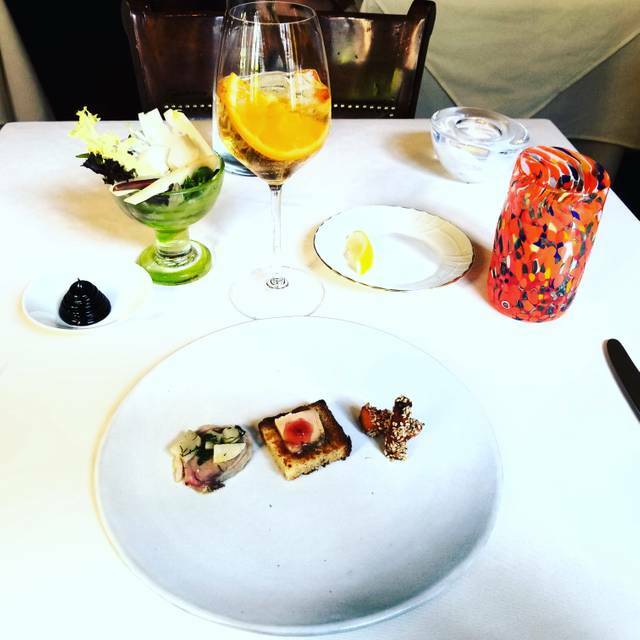 Always exceptional and every single facet of the dining experience was out of this world! 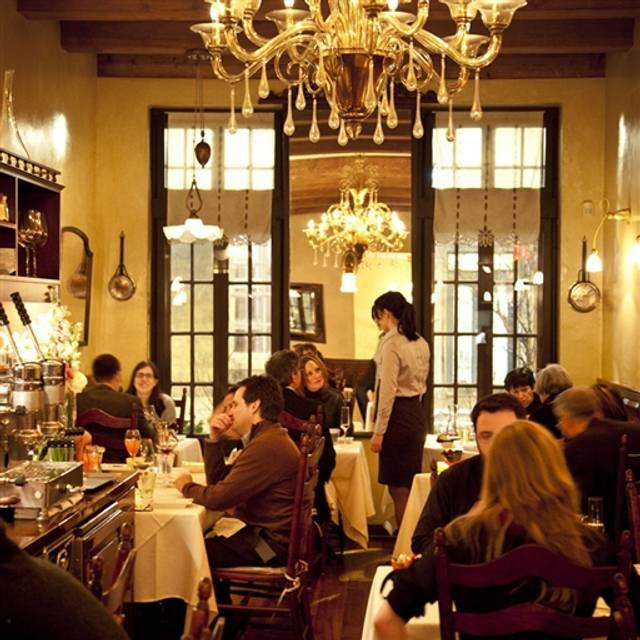 Vetri, is an amazing place for a special occasion. Awesome staff!! Vetri is a very special place. The minute you walk up to the door, someone opens the door to greet and welcome you. This restaurant is elegant without the stuffiness. They explain that the dinner with take 2.5 hours and to sit back, relax and enjoy being pampered. The service was impeccable and friendly! The staff was knowledgeable when explaining the wines, champagnes and how each dish was prepared. We chose the chef's choice. Everything from the crudité served with reduced balsamic, mini pizza, roasted fennel, pate to the onion crepe, dover sole, desserts and everything in between was beautifully presented and was all heavenly! Romantic, warm atmosphere. We loved every minute! I would highly recommend this restaurant to anyone.